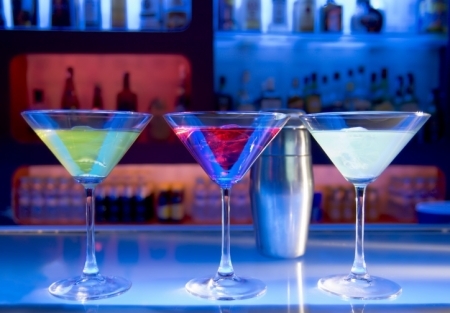 Go out and Party At This Club by Selecting the Link to Left "Want Name/Address"
Trendy Nightclub and Bar with live entertainment in Stanislaus County ! Keep current concept or bring your own...there is some structure remaining for a kitchen, if a new owner wanted to put in a kitchen or keep in simple, as there is no hood system currently. This would be a great Opportunity for a Owner Operator or current operator wanting to add another location. Outdoor Patio with a separate Bar! Area: Located near downtown... This is a freestanding building with plenty of parking for bigger crowds. Type 48 Full Liquor License! and portable bar and event permit too. Very Nice upscale interior with DJ Booth, VIP areas ...Large Bar and Dance Floor. FF&E: POS, Security system, Reach in Beverage Coolers, Bar sinks, TV’s and more! Lease: Good Rent at $4,000… All In for approx.. 3,900 sqf., Patio & Storage space included in rent. Seller only operates Friday Sat. and Sunday currently. Nice improvements and equipment could easily set you back well over 150K to get started from scratch. Seller will consider serious offers. The owner will consider a partial seller note for a qualified buyer with at least $80K down. Seller would also seller would also consider a reasonable offer on the property as well. Reason for selling: Other businesses require owners attention. Kitchen is there ...no hood...has potential!